What Type of Business Debt Should You Pay First? One of the questions we are asked the most when talking to a business that is having debt issues is the question of which type of debt to address first. Of course, the ideal answer is all of them. Unfortunately in times of debt, financial situations do not allow for this and the creditor that “screams” the loudest usually gets paid first. It’s not uncommon for a business owner to dig themselves into a deeper hole by trying to pick and choose what debts to pay each month. 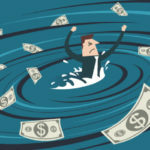 This ultimately leads to a vicious cycle of paying a different creditor each month depending on which one is causing the business owner the most trouble, which will leave the company in a downward spiral. In this scenario, there is no plan to address the issue as a whole. Some creditors get paid one month while others get paid the next, and eventually the business is facing several lawsuits from several different creditors. The best way for a business to address a mounting debt issue is to put a plan in place that addresses the entire issue and all creditors at once. If you develop a plan that addresses the entire issue, then each month all of your creditors are getting paid something, which eliminates a few creditors each month who might have otherwise been disrupting your business by knocking at your door for payment. In order to come up with an effective plan, you must completely evaluate the finances of your business to see what you can truly afford to allocate to creditor payments each month. You must also decide if you have any unnecessary expenses that can be eliminated, and look for potential assets that you can sell to free up more cash. If your business is struggling with cash-flow problems and you’re wondering what debts to pay first, download our free guide to see what kind of mistakes you may be making that are leading you further into debt and keeping you from paying down all of your debts at once. 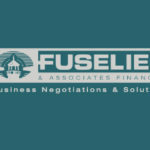 At Fuselier, we apply our years of experience to help our clients develop plans that address each creditor at once, and negotiate debt solutions that work for them, oftentimes saving them thousands of dollars. Contact us today to see how we can help you.